Way back in 1531 a battle, called the Battle of the Barbarians, raged for over two weeks between the Spanish and Indigenous, forever altering how we celebrate the month of May, St. Michael’s feast day and countless days in between. Suddenly the future San Miguel de Allende became the epicenter for both the cult of the cross, and witchcraft. The notorious Battle of the Barbarians turned La Lejona, the area between La Comer (formerly the Mega) and the mountaintop village of Door to Calderon (then Door to Barbarians) to a bloody battlefield. So much death and pain resulted in neither side having a clear victory or loss until a cross shone in the sky making all sides claim “This is God!” and stopped the fighting. 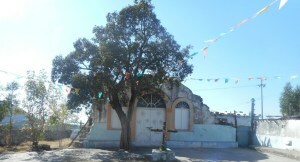 A chapel was erected at the spot to mark the occasion. 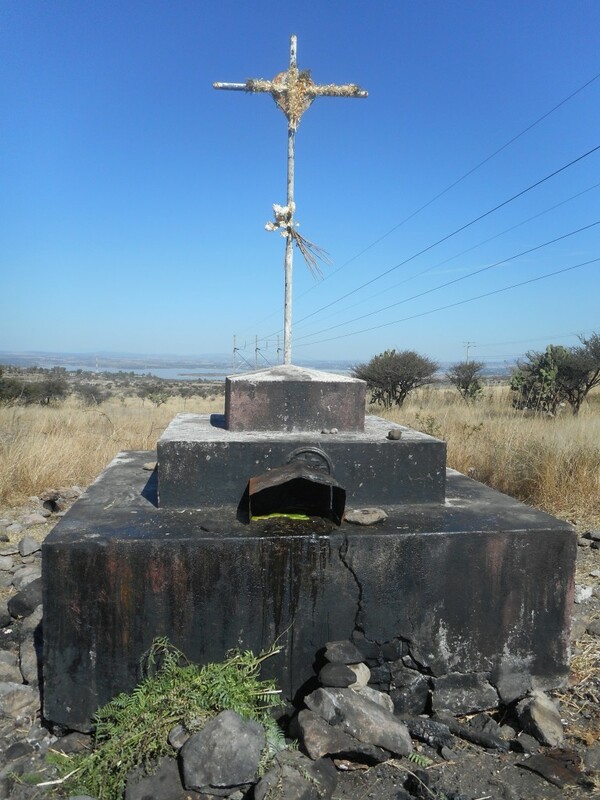 Being the center of North and South America, and on the edge of a change of ecosystems, the indigenous long believed this area was a portal to the afterlife and hosts one of the many crosses that effect present day San Miguel. For the indigenous anything good, had a not so good counterpart. On the good side crosses are celebrated the entire month of May. Each of the four oldest neighborhoods venerate their oldest cross with song, dance, prayers and merriment. On the not so good side, you simply need to walk a few minutes away from the mountain top chapel to the Battle of the Barbarians’ cross and find yet another cross used for the dark arts. The area around hosts evening fires to cast spells. This time of year I come across the branches of now-ripe pepper trees used to cleanse a person. Next to them will be green candle wax for issues with justice and law, yellow for wealth, brown for wisdom and black for, well, darker causes. Symbols of the four winds (north, south, east, west) appear in various forms including candy plus the ever present egg shells, a foundation to the dark arts worldwide. I found an unbroken bottle and unlit candle I brought home and cleaned. When a Mexican friend entered shortly after and saw the bottle drying by my sink she immediately took it and the candle tossing them into a nearby stream bed. She was quite clear stuff for dark purposes have no reason to be in my home even though I hadn’t the opportunity to say a word. Suffice to say, I was surprised at her cat like reflexes and speed at destroying the items. Not all local crosses have a corresponding dark side. The Cross of the Plague overlooking the lake only features white candles promoting light and goodness. Like all mountain top crosses around town the views are breathtaking!